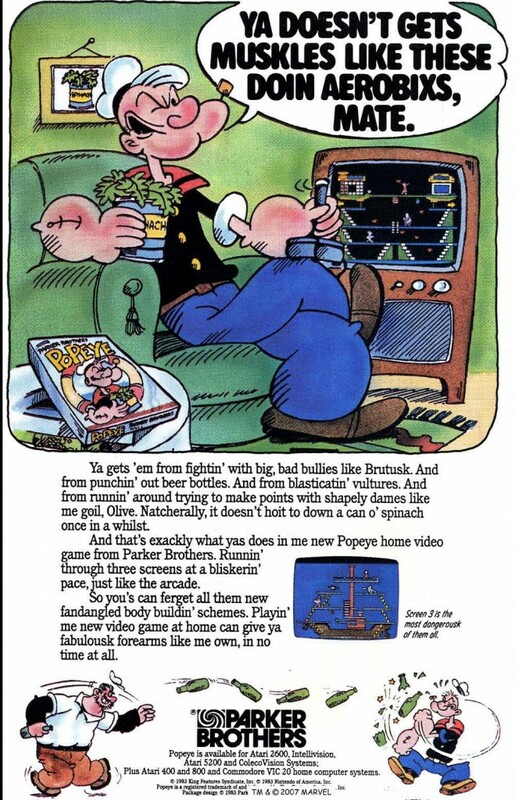 Popeye was originally developed by Nintendo, but the non-NES versions were published by Parker Bros. Donkey Kong was originally meant to be a Popeye game, but Nintendo were unable to secure the rights. However, when Donkey Kong was a smash hit, King Features Syndicate wanted in on the money. This ad was for the US release of the game.